Retired high court judge Aruna Jagadeesan, probing the violence and consequent police firing during the anti-Sterlite protests in Tuticorin, on Monday asked television media houses, journalists and citizens groups to submit unedited video clippings of the incident. She also appealed to the public to submit relevant information before the panel by June 22. The one-person inquiry commission said it would ensure anonymity and protection to those sharing information. “Arrangements have been made in such a way to ensure secrecy and protection to those who come out (with details),” she said. According to the panel, a person can mention place of preference -- either in Thoothukudi camp office(Old Circuit House) or the panel head office in Chennai(Greenways Road in Kumaraswamy Raja Road) -- in their affidavits for an inquiry. “Inquiry will be held in three stages. One with those affected/injured, relatives of those killed in the incident. Then consultation will be held with those who witnessed the incident, citizens groups, or those who are privy to the details and journalists,” she said. 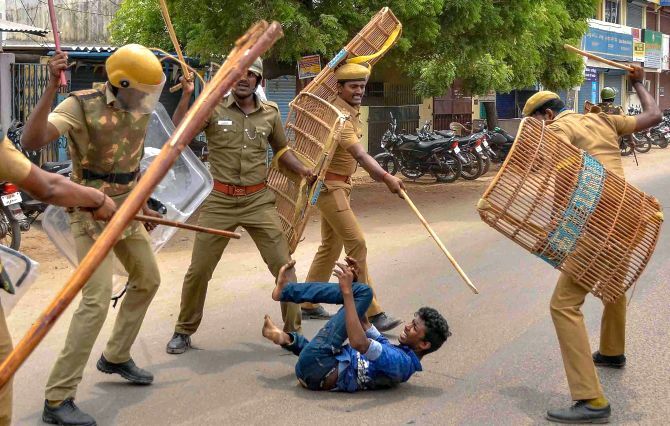 “The third stage would be with the police, those who allegedly initiated the firing, revenue officials, doctors who conducted post-mortems and treated the injured, senior officals in police, former district collector and other officials,” Jagadeesan said. She said she would also visit hospitals in which the injured are being treated and seek information. “Also, if the injured are not in the capacity to reach out to the venues of inquiry, arrangements will be made to collect information from them either in hospitals or any other place,” the official said. Explaining about the team that will collect the affidavits, Jagadeesan said, a retired official in the judiciary and a former district judge has been appointed for the purpose. The state government had appointed the one-person Commission of Inquiry on May 23. The State Human Rights Commission also has initiated an inquiry into the issue. Thirteen people were killed in police firing during anti-Sterlite protests on May 22 and 23 that turned violent.